The California Institution for Women, Tehachapi, once stood in the stark and windswept Cummings Valley, 130 miles northeast of Los Angeles. The state's first prison for female inmates, the facility served, between 1933 and 1952, as a "laboratory" where penologists and reformers--mostly women--aimed to rehabilitate formerly "bad women" via a combination of tough love, education, hard work, and recreation. This approach drew strong support and equally strong condemnation. Throughout its nineteen-year existence, the institution served as a political battleground. It pitted those who viewed rehabilitating female inmates as crucial to creating strong community bonds against critics who derided the "coddling" of hardened criminals, no matter what their gender. 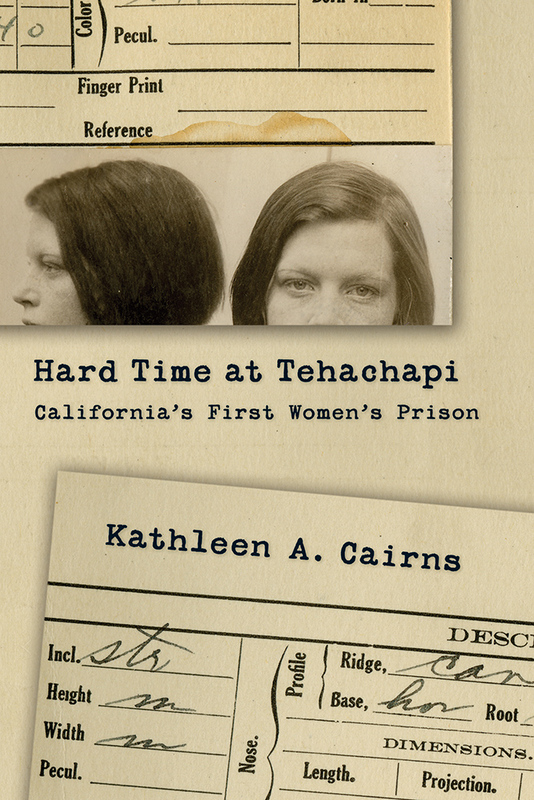 The controversy ultimately doomed Tehachapi as a women's prison, but Kathleen Cairns argues that this failure does not negate its historical importance. The Tehachapi experiment posed crucial questions about crime and punishment and about society's treatment of individuals who do not fit neatly into cultural stereotypes--questions that remain unresolved to this day. Kathleen A. Cairns teaches history and women's studies at Cal Poly in San Luis Obispo. A former reporter and editor for Knight-Ridder newspapers, she is the author of two books: Front-Page Women Journalists, 1920-1950 and The Enigma Woman: The Death Sentence of Nellie May Madison.